It has been quite a while since I posted on this blog..not to say that I have not been cooking 🙂 Except I have taken to Instagram (I admit i got on there to stalk my daughter :-P) and it’s just easier clicking and posting on Instagram…of course the quality of phone pictures are not as great but it’s just easier and not all dishes require a recipe..everyone knows how to make the common dishes and not everything needs a recipe..sometimes a picture just gives you an idea, you drool over it and then you know what you want to make for dinner!! 1. In a pan, heat 2 tbsp oil. Add the chopped onions and grated garlic and saute until golden brown. 2. Then add the chopped tomatoes and peppers and saute for a few minutes until the tomatoes are slightly mushy. 3. Then add all the dry powder and mix well. At this point add 1/2 tsp butter or ghee and mix well. 4. Add the chopped or grated paneer, salt and mix well. 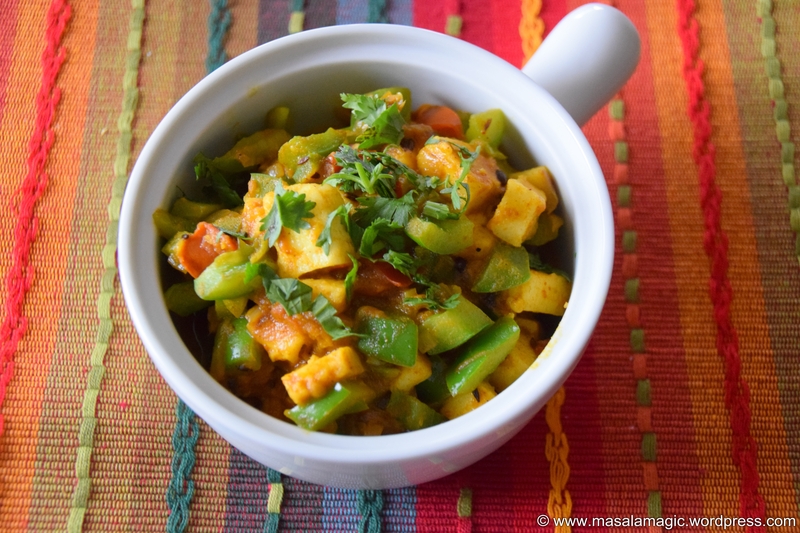 Saute for a few minutes until paneer is cooked and slightly golden brown. 5. Add the chopped green chillies, grated ginger and chopped cilantro and mix well. 1. Take 1 slice of the sourdough bread. 2. 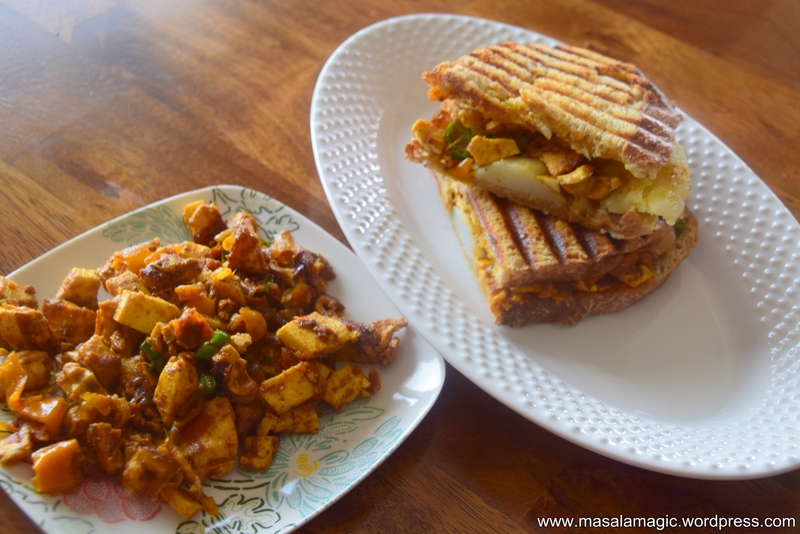 Spread 1 tsp of green chutney and top with the sliced boiled potato slices. 3. 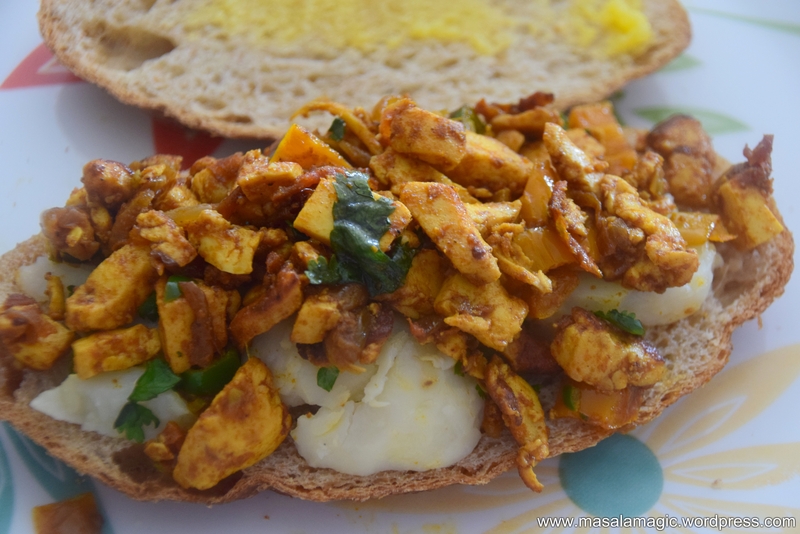 Top with 2 tbsp of paneer filling. 4. Sprinkle some chopped onions and chopped cilantro. 5. 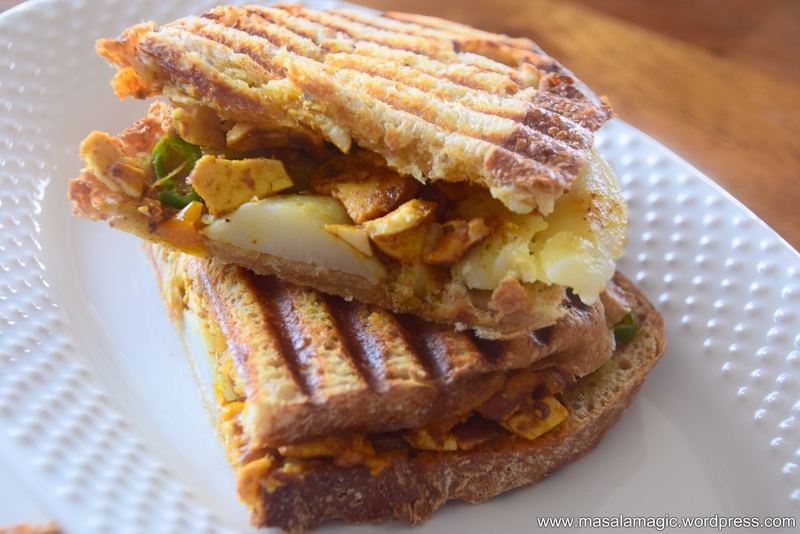 Cover with another slice and grill on a panini press until crisp and well done. 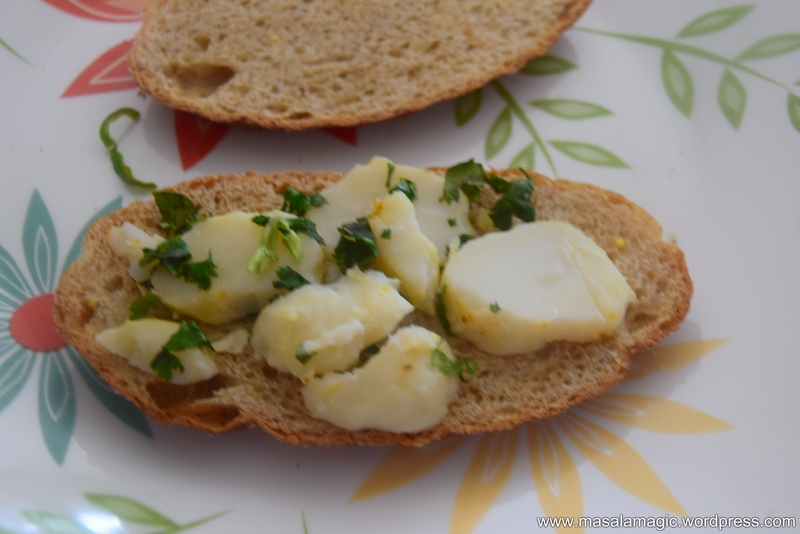 Brush the top of the panini with some butter and grill just a few more seconds. The first was “Highway” – a 2013/2014 movie starring Alia Bhatt and Randeep Hooda. We have seen Alia Bhatt’s “Student of the year” which is all glamour and zero storyline (even though my kids love it for all the songs, color and brands!! 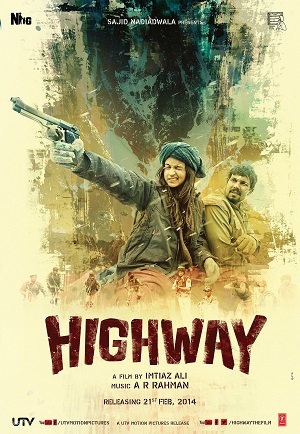 ); However, Highway is the opposite spectrum, totally no glamour kind off movie..a nice storyline where the protagonist i.e Alia Bhatt in the role of Veera is abducted by a notorious gang. Randeep Hooda (I love his intensity!!) in the role of Mahabir Batti is her abductor and is a person with a violent and bitter past because of which he is what he is today – rude and emotionless..the story unfolds in such a way that Veera develops feelings for her abductor and eventually starts to relate to him and refuses to want to go back to her orginal life. The language is authentic Hindi mixed with a lot of Rajasthani and the whole story is kind of “Raw” for a lack of a better word. Worth a watch if you are into some serious stuff. Dinner was a simple North Indian Platter with Roti, Jeera Rice, Dal and a Paneer Capsicum (Bell Pepper) Sabji. This was actually a last minute dish i put together. Gathered up all what i had in my refrigerator to make this. 1. In a pan heat the oil. Add the cumin seeds. 2. Add the chopped onions, grated ginger and garlic and saute until light golden brown. 3. Add the tomato puree or chopped tomato. Saute. Add a pinch of salt and suate until tomatoes are mushy. 4. Add all the powders and mix well. 5. Add the chopped bell pepper/capsicum and mix well. Ensure that the bell pepper does not cook for more than 2 minutes so it remains crunchy. 6. 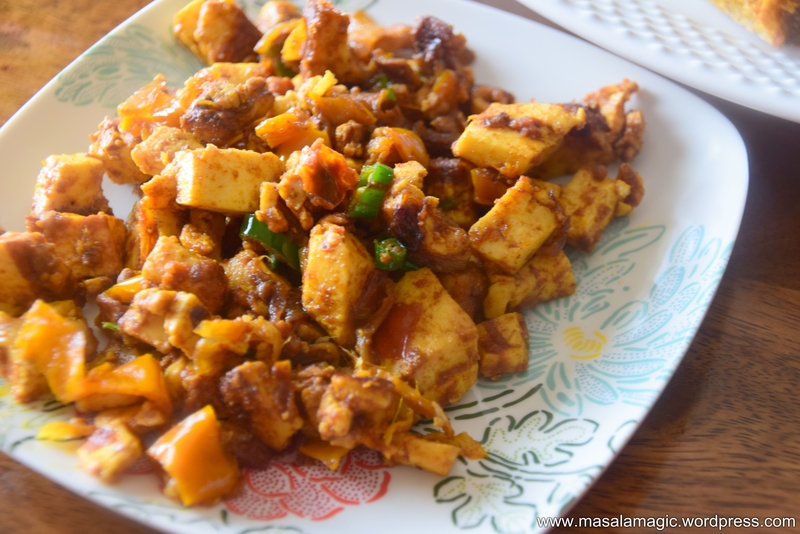 Add the paneer cubes and mix well until all the masala is coated into the paneer. 7. Top with chopped cilantro and serve hot. 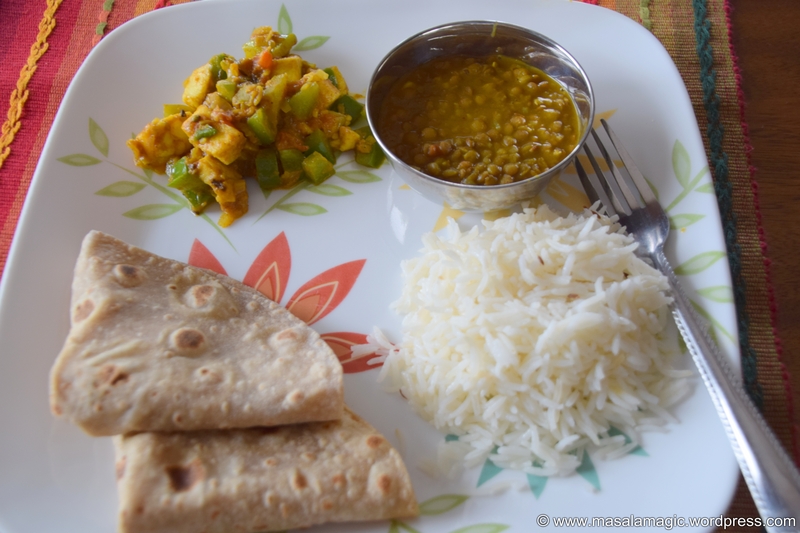 This is a favorite dal recipe of mine. One I learnt from my hostel friends in college. 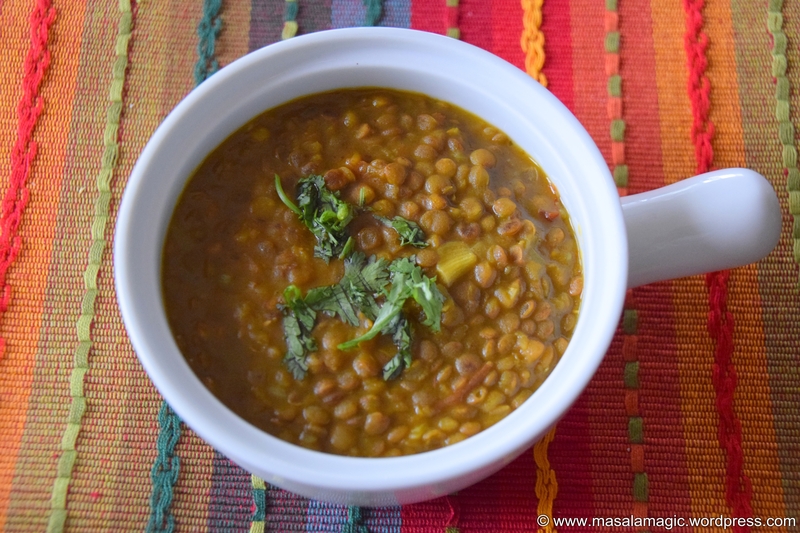 I’ve made it over the years and i just love the way the Whole Masoor lentil bursts with flavor in every bite. 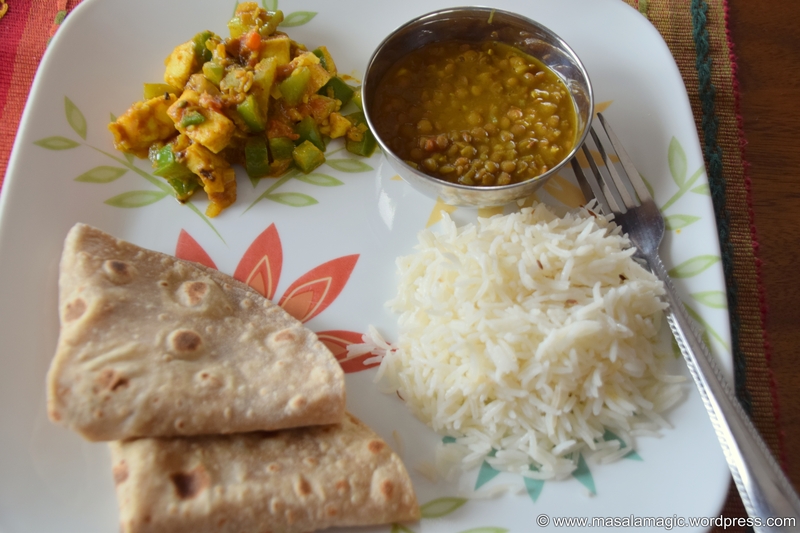 Whole Masoor Dal/Lentil – 1 cup; Wash and pressure cook in a pressure coooker with a pinch of turmeric for 3 to 4 whistles. 1. In a pan heat the ghee. Add the cumin seeds, hing and dry red chilli. 2. Add the chopped onions and garlic and saute until light golden brown. 3. Add all the powders and mix well. 4. Add the cooked dal, 1 cup of water and allow to simmer for about 5 to 10 minutes. Add more water if the dal is too thick. 5. Serve hot with rice or roti.